The integration of drone use has become that much more prominent in modern times. The real estate sector is undoubtedly the main buyer of commercial drones and drones play a great role in revolutionizing the trend in real estate management and marketing. About 30% of drones sold today are delivered into hands of real estate agents and private house sellers so it should be no surprise when you discover that the hunt for the best drones for real estate is quite bitter. How could drones possibly be useful in the realm of realty? Quite simply, they are capable of capturing high definition photos and videos of specific things at completely different angles, which allows a realtor to capture a bird’s eye view of property they want to sell. Last year the American Federal Aviation Administration (FAA) permitted the use of drones for commercial services and Ireland followed suit. What resulted can best be termed as a “breath of fresh air” in real estate marketing and the few companies that embraced these awesome bots have surely recorded an increase in sales. Xiro Xplorer is a mighty looking drone that sports a bulky black frame with green accents. This feature gives the drone an overall sleek design that is going to catch quite a few eyes. This drone has ton of features under the hood and it comes in 2 versions, G and V. The V version comes with a full HD FPV ready camera while the G versions comes with a solid 3 axis motorized gimbal. This drone is equipped with a powerful 11.1V 5200mAh Li-Po 3S battery and has a flight time of about 25 minutes, so there will be plenty of time for selfies. Moreover, the Xiro Xplorer has a maximum range of about 500 meters. This allows you to roam freely around the property without having to worry about your drone getting out of range. All things considered, you will not be disappointed whichever version of Xiro Xplorer you choose. The Hubsan H109S is perfect for those people who are looking for a premium model for a moderate price tag. The H109S is a great looking drone that has the premium performance for just the fraction of the price. 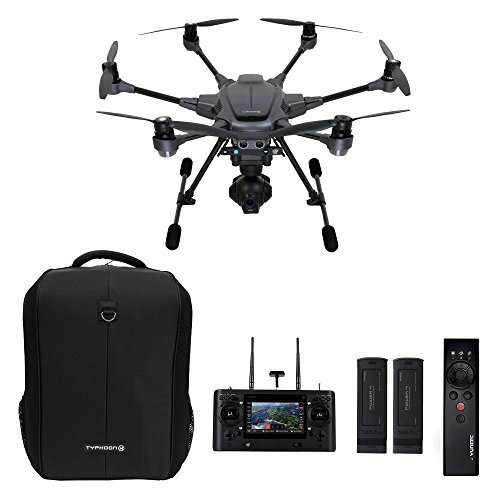 This drone over 5.8GHz frequency and possesses the First Person View (FPV) feature that you can effectively use for your real estate business. 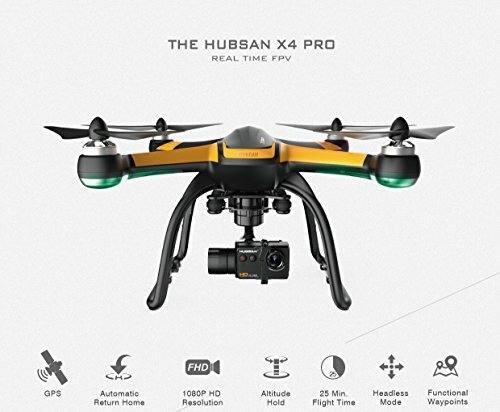 The Hubsan H109S has a nice set of features like GPS, headless mode, altitude hold and even automatic return to home. But the fun doesn’t stop here because this drone is also equipped with a full HD camera and a 5.8GHz transmitter working on Android 4.2. The drone comes with a powerful 11.1V 7000mAh Li-Po battery that provides about 25 minutes of flight time. The battery charges up for under an hour, making its battery among the best ones in this price range. This feature will allow pilots to do their job seamlessly without having to be concerned about their new business gadget running out of battery all the time. The Parrot AR Drone 2.0 Power Edition is a later improvement of the Parrot AR. Drone 2.0 and it is considered to be one of the cheapest drones that can help you move your real estate mountains. It is estimated that about 3 in every 5 drones currently used in Ireland for real estate is the Parrot AR Drone 2.0 Power Edition. The drone comes in RTF state and it has a powerful front camera that is able to capture full HD (720p) photos and videos. Recorded footage is sent directly to the controlling device at speeds of up to 30 fps. The Parrot AR Drone 2.0 Power Edition has a flight time of between 30 and 36 minutes, which is achieved through the use of 2 1500mAh Lithium-Ion batteries. This flight time is long enough to help you navigate your estate. The drone can capture stable photos/videos even when firing at speeds of up to 18 km/h (11 mph) because it is agile like none other. The drone is controlled by the Parrot FreeFlight 2.0 App and has quite a limited control distance of 50 meters. However, estate agents rarely have property stretching that much. The App is free to download for iPhone, Android and Windows phones. It is important to note that it is recommended to turn on the “Director’s Mode” in order to optimize usage when recording real estate videos. The drone is very easy to use when in normal mode. The drone is ultra-easy to control and it becomes pretty stable in this mode. Even so, some users reported some recorded problems concerning the drone’s connectivity and its general durability. You should also optimize your controller’s settings to optimum levels because the Parrot AR Drone 2.0 Power Edition may encounter problems in areas where many Wi-Fi connections abound because it relies wholly on Wi-Fi signals for control. 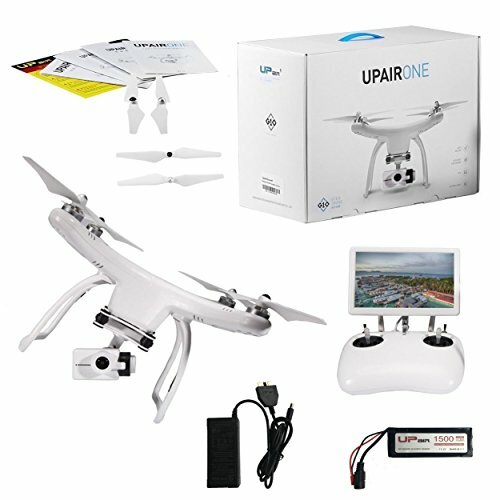 The UPair One is the model you should be checking out if you are into affordable drones that try to mimic the appearance of DJI’s Phantom series. The drone is equipped with a smart battery with 5400mAh and has a flight time of about 25 minutes. The Upair One is able to provide you with more stable shots and recordings with its unique U shaped design. This feature will allow you to achieve the optimal results for your real estate photos. The best thing about this drone is its amazing controller because it looks futuristic and feels quite good in hands. The controller also has a 7-inch LED display for FPV purposes. As far as operating range goes, the UPair One is quite good in this department. You won’t find many drones with such good specs in this price range because this drone has about 1000 meters of flight range and roughly 300 less for FPV. Enjoy my Full Review. You can get the Upair ONE with 2K or 4K camera here: https://goo.gl/1f6zJk I use PD15 to edit my vids: http://amzn.to/2ftrZ8I. The 3DR series is another reliable drone manufacturer focusing on image capture. There are multiple kits with different accessories so the price here will vary based on what a user buys. The 3DR Solo does not come with a built-in camera. However, it comes with a camera gimble and it is compatible with external cameras. This feature allows users to capture pretty great selfie and landscape shots. Also, you get consistently better images with the added stability of the drone. Considering as a realtor you probably want to get many shots on multiple locations, it is recommended to purchase memory cards to compensate for heavy photo use. Other nice features allow you to stream high definition straight to your compatible Smartphone, which will give interested parties a live feed of a property through perspectives they’ve never seen. This is a pretty engaging way to go about selling properties. The manufacturer boasts that this is the world’s first “smart drone” and many users will agree that this is the best drone for real estate photography. The only negative would be a prompt lack of comprehensive user manual. 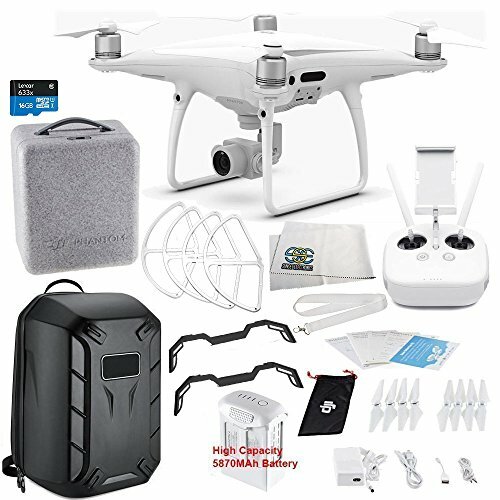 DJI’s Phantom lineup is one of the big name standards in drone fleets and their drones are frequently used by enthusiasts for a variety of purposes. 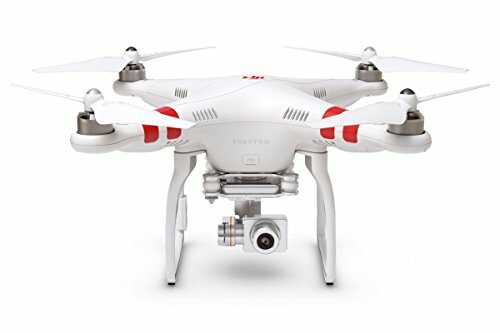 The DJI Phantom 2 Vision+ is another drone that boasts airtime stability, and you’ll find a lot of great use from it. The Vision+ is equipped with a powerful 11V 5200mAh Li-Po battery and can stay in the air for about 25 minutes. It is important to note that that wind conditions have a big effect on the drone performance. Fortunately, this drone does have stability (its 3-axis gimbals) and records video in high definition. The drone is equipped with one of the highest-resolution cameras available and it can provide high-level video for many purposes. This feature makes it one of the better drones for real estate video. The Vision+ has great operating range (800 meter) and you can get an exact picture of what the drone sees with an FPV (First Person View) link. The Walkera QR X800 comes in a Bind-n-Fly (BNF) state and combines both design and performance to produce masterly performance. The BNF state means that it is ferried as a framework upon which you are to add features as you will desire. On the other hand, people who don’t like welding electronics will not like the fact that that the drone is shipped in a BNF state. Durability of this drone is less of a concern since its ceasing is made of strong 3K weaved carbon. The Walkera QR X800 comes with powerful 22V 10000mAh Li-Po 6S battery and a flight time of between 40 to 60 minutes, which makes it the best option when you need to fly for lengthy durations. The Walkera QR X800 is not equipped with a built-in camera. However, it is compatible with any normal professional camera that can easily attach to the drone’s main body via a compatible stabilization gimbal. The X800’s control distance is virtually limitless because it is controlled remotely using the GPS controller (FCS800 Multi-Axis Control System). The drone uses both manual controls and app controls, which means that it is simple to control. Some users reported issues concerning the durability of its fancy retractable landing gear. Nevertheless, the Walkera QR X800 is surely a great option for real estate purposes. Yuneec also has a fleet line that’s well regarded and tested amongst drone enthusiasts and this model is no exception. The Yuneec Q500+ Typhoon is equipped with one of the highest-resolution cameras available and t the fully rotating camera gives realty agents lots of flexibility when capturing shots of a property in question. The Typhoon is a heavy hitter and it scales well past 5000 feet in travelling. The drone can stay in the air for about 25 minutes thanks to its powerful 11V 5400mAh Li-Po 3S battery. Some other nice features include a “follow me” function that signals the drone to return to the transmitter’s location, and a display screen on the transmitter to see exactly what you’re doing. The Yuneec Q500+ Typhoon is perfect for realtors who want to capture sky shots of a neighbourhood. Top 10 Features regarding the Yuneec Q500 and the Q500+ that you need to be aware of. This foldable drone flies really fast thanks to the fact that it is small and lightweight. I believe it’s pretty obvious that we’re looking at a speedy little drone here, with its top speed clocking it at over 65 km/h (40 mph). However, the speed is not the only awesome thing about Mavic Pro because this drone also has a 4K camera and features both GPS and GLONASS positioning systems. These features allow you to have a pin point accuracy no matter what altitude you’re living at. The drone also features obstacle avoidance sensors that improve the overall flight safety, which is especially important while flying it near objects. This feature is of crucial importance in the real estate business since you will be next to rooftops all the time. The drone sports a 3830mAh capacity battery ensuring a flight time of about 27 minutes. Combine all of that with more than 7000 meters of range (2000 meters more than any other drone made by DJI) and you will understand why this drone is such a popular choice among real estate agents nowadays. And this is not a surprise because DJI Mavic Pro has everything a great real estate drone needs to have: a great camera, amazing specs, transportability and great features. The Walkera QR X350 is one of the best-selling drone series of all time. This drone is very agile and can move in speeds of up to 72 km/h (45 mph) and that’s why it is best suited for use in high altitude areas. The QR X350 Pro will require you to get your hands a little dirty because it comes in a BNF state. However, the fact that this drone is very customizable is the main reason why it is so popular in the market. The Walkera QR X350 Pro is much lighter than the QR X800 reviewed above and thus is highly portable. This drone hardly experiences connectivity problems because it can be controlled even remotely with the help of the GPS. It allows you to have a FPV of the area you are flying over, so it is incredibly easy to control. This drone does not come with a built-in camera. However, it is compatible with all modern high-quality cameras like Hero 3 and Hero 3+ from GoPro that can easily attach to the drone’s main body via a compatible stabilization gimbal. 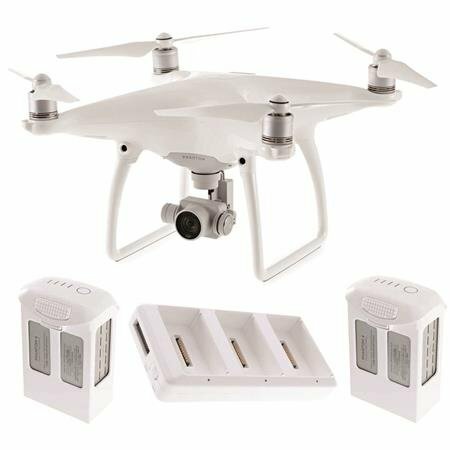 The drone comes with an 11V 5200mAh Li-Po 3S battery and has an average flight time of 25 minutes when fully charged which certainly is adequate to capture professional snaps. 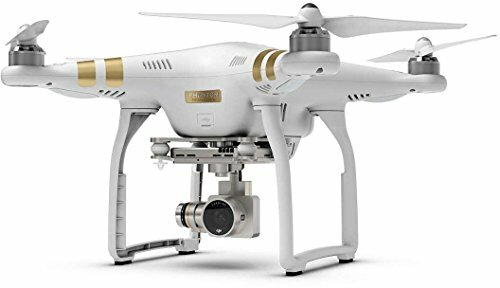 The DJI Phantom 3 Pro is intended for professional work and the assumption of this particular model is the pilot is experienced with drones and knows their way around a camera. 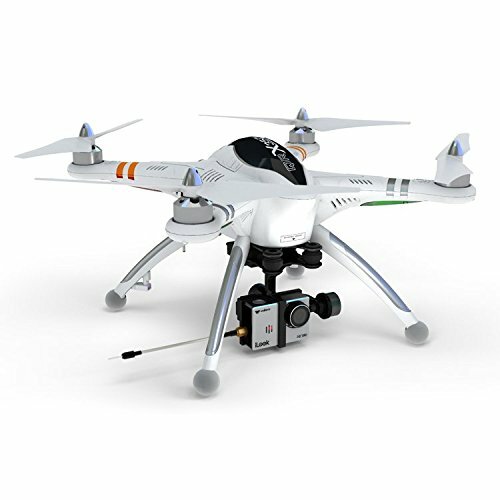 This drone has several convenient features, such as the option to use your tablet or Smartphone in place of the radio transmitter. This feature is very useful in case the transmitter breaks, or just over your preference. The Phantom 3 Pro also features indoor stability. This feature is very important when capturing photographs, as any motion in general will cause unwanted blurriness or loss in resolution. The Phantom 3 Pro generally includes all necessary equipment and the kit will determine the price. This drone is considered to be one of the best drones for real estate photography because it captures pictures in 4k resolution, which is a lot stronger than the typical 1080p. The Phantom 4 is newest model in series and you may not see any noticeable change in design. However, it comes with many improvements when compared to predecessors and this drone performs actions that could only be imagined in science fiction. The Phantom 4 comes with 4K camera and you are able to receive live feed from camera on your Android/iOS device. The drone is capable of producing very stable video footages since it also has a 3-axis gimbal. You will share live video recordings directly to a social site of your choice by a double tap on your controller screen. The drone is powered by a powerful 15.2 V 5350mAh Li-Po 4S battery and this is the best battery DJI has ever produced. In real conditions this battery will give you about 28 minutes of flight time. The Phantom 4 features collision avoidance system and in fact, this works very well. It is important to note that you are not covered on sides since the drone only avoids objects located in the front of it. It also has a 5K control distance and, with the help of the Intel SDK software, it will allow you to pre-program its moves. The DJI Phantom 4 is definitely one of the best drones for real estate photography because there hasn’t been a serious hullabaloo concerning it. You should definitely take a closer look at the Yuneec Tornado H920 if you are a professional aerial photographer with a ton of professional equipment who is just getting into photographing for real estate businesses. This is an expensive drone. However, it has a lot of means of justifying its huge price tag. The drone’s frame is built with carbon fiber. This material allows it to have maximum endurance and low weight. Moreover, this little fella can fold its wings and landing gear. This feature makes it easier to transport from point A to point B. The H920 comes with an ST24 radio controller with a dedicated 7-inch Android tablet that serves for First Person View (FPV) and On Screen Display (OSD) purposes. 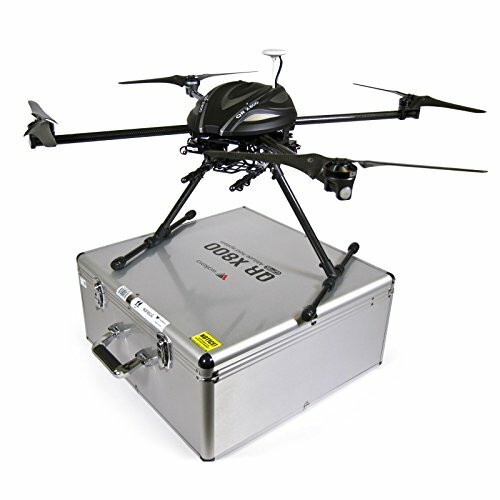 The reason why this drone is so popular is its capability of lifting heavy payloads. The H920 can carry 1,600 grams (3.53 pounds) in addition to the weight of its built-in components, which means that it can carry your professional photography equipment without any problems. The drone also has the ever-so-popular failsafe feature that returns it to its takeoff location if it’s low on battery so you do not even have to worry about crashing the photography equipment down together with the drone. YUNEEC Tornado H920 CGO4 - Unboxing and Full Setup Tutorial Under 20 Min. DJI remains the market leader so far, but the Typhoon H, Yuneec’s latest offering, may well change that. 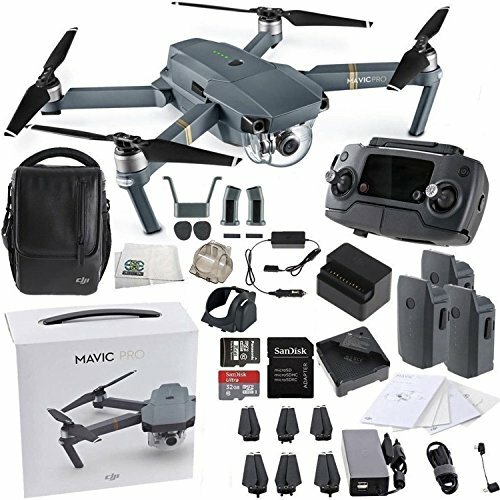 This drone is not just different or stacked with unique features (which it very much is), it is also far more powerful than any other drone in its price range. 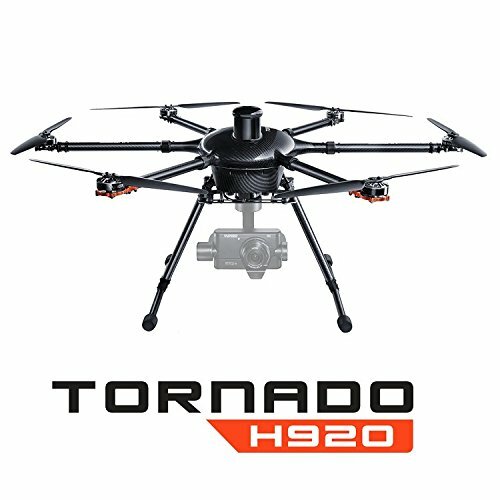 The Typhoon H is hexacopter while all other drones on this list are quadcopters. 6 rotors are always better than 4 rotors, especially when we’re talking about expensive drones that are equipped with even more expensive cameras. 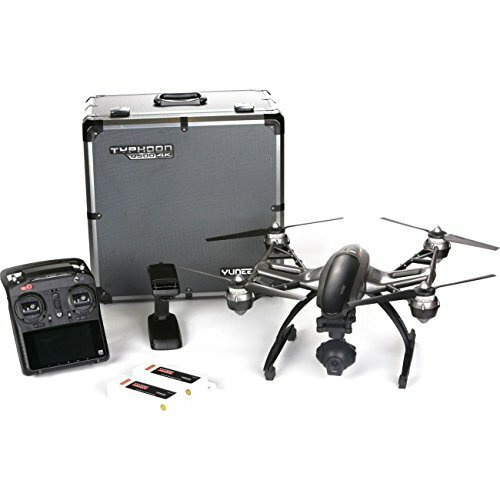 The Typhoon H sports the highest video recording quality available on a built-in camera, supported by 25 minutes of flight time and advanced controller this drone is perfect for real estate photography. The drone also features collision avoidance, follow me mode and retractable rotor arms. This feature cuts down on the size of the transport case and makes this hexacopter roughly the same size as a typical quadcopter when stowed. The manufacturer has given a new look to Inspire 1 along with several additions in terms of more reliable locking mechanisms, improved motor and new propellers. 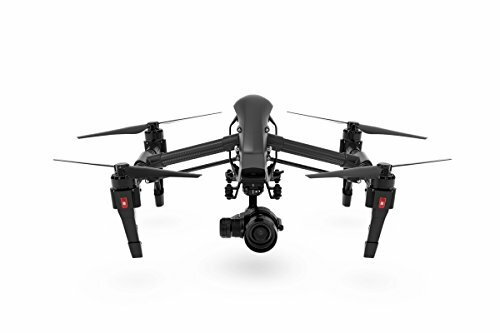 The new Inspire 1 Pro is all black, as its name implies. This feature gives it a sleek unearthly look capable of attracting many eyes once it goes up in the air. However, I really doubt you are aiming for the looks if you are spending this much money on a drone. The specs and features are what you’re looking for. The Inspire 1 Pro Black Edition excels in that department with its 5 kilometres of flying range and a 4K camera mounted on a Zenmus.e X5 3-axis gimbal. This feature allows you to take perfect aerial shots time and time again. The only downside to this drone is its relatively low flight duration of only 15 minutes. However, the DJI Inspire 1 Pro Black Edition is the right choice for you if you are willing to cope with the fact that this drone has low flight time, and you’re willing to sacrifice it for an amazing camera, controllability and stability. The newest model in DJI’s Phantom series has just gotten a Pro version and this is our #1 drone for real estate industry. This drone plans on taking the market by storm with a couple of well-placed improvements. The Pro version has received a mechanical shutter on the 4K built-in camera along with additional obstacle sensors. 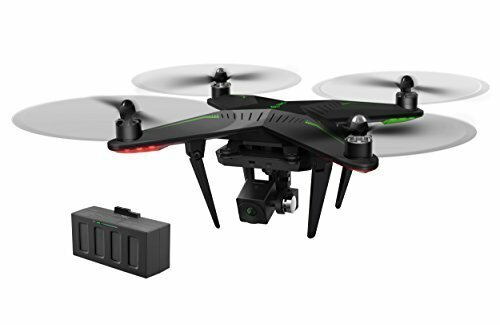 This drone boasts a 3-axis-stabilized gimbal camera with a 20MP, 1″ CMOS sensor capable of shooting up to 4K/60fps video. It can also capture slow motion videos at full HD. 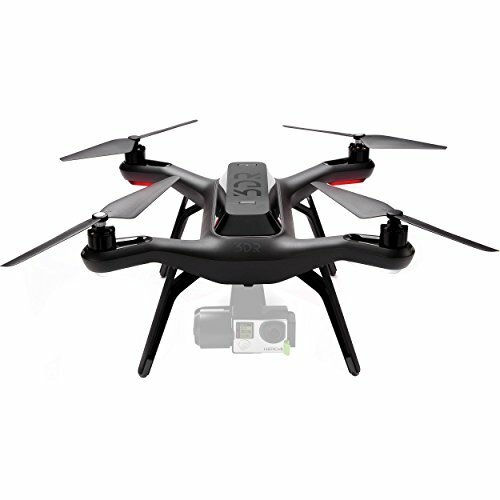 This feature allows you to control the drone’s versatility with an intuitive transmitter. The manufacturer made sure the Phantom 4 PRO has all the benefits of amazing specifications, much like all other models in their Phantom series. For example, this drone can stay up in the air for about 30 minutes and has a 5 kilometres flying range. These amazing specifications and features allow the drone to par greatly against its competitors. Drones usually make noise – Some of the drones reviewed above are exceedingly noisy so they shouldn’t be used where silence is paramount such as near schools or courtrooms. Legality in such flights is extremely important – different countries will require varied regulations on the use of the above drones so you should always familiarize yourself with these laws before flying. Privacy is also very important – it is important to inform all people who may be living on the property and your neighbours before filming your houses. Do You Really Need a Drone for Real Estate Business? In real estate fields, the need for drones is increasing day by day and the main reason is simply to help you showcase your property. Not Sure What Drone To Purchase? Drones are portable – the drones reviewed in this article are all small and light enough to carry to different sites. They are friendlier – anybody can fly drones and showcase property expertly, which eliminates the complexity of expensive training in order to capture aerial images. Drones are cheaper – they are surely much cheaper when compared to the traditional means of using planes to capture aerial images. Drones will always get the job done! Some drones reviewed above may be hard to configure and use. It’s impressive when any business utilizes modern technology. Drones play a great role in marketing and there is no doubt that drone usage in real estate is going to record an increase as years will progress. People will definitely appreciate the unique angles of detailed photos taken from a drone’s point of view. By purchasing a drone today, you may become the first real estate agent in your entire locality to embrace this change, which will allow you to be ahead of others.